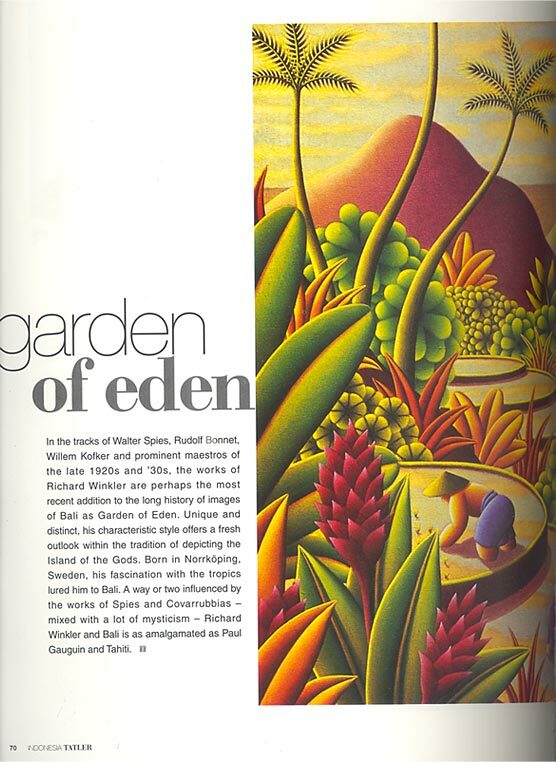 In the tracks of Walter Spies, Rudolf Bonnet, Willem Kofker and prominent maestros of the late 1920s and ’30s, the works of Richard Winkler are perhaps the most recent addition to the long history of images of Bali as Garden of Eden. Unique and distinct, his characteristic style offers a fresh outlook within the tradition of depicting the Island of the Gods. Born in Norrköping, Sweden, his fascination with the tropics lured him to Bali. 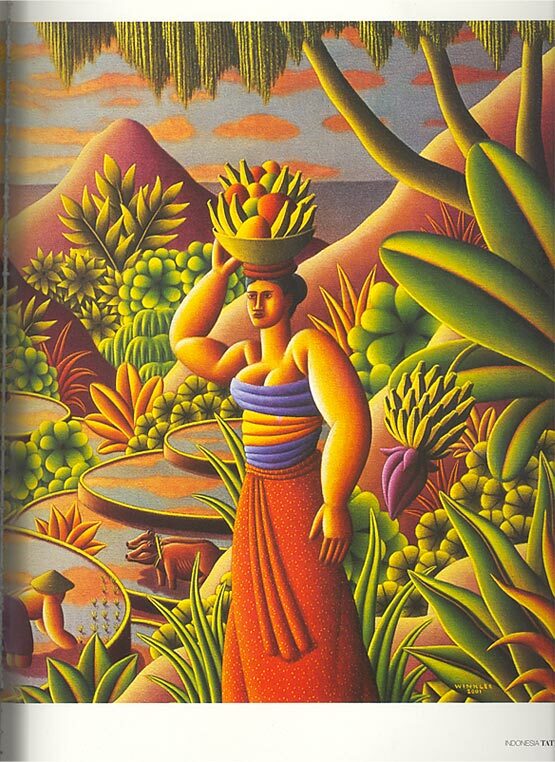 A way or two influenced by the works of Spies and Covarrubbias – mixed with a lot of mysticism – Richard Winkler and Bali is as amalgamated as Paul Gauguin and Tahiti.